The last of this morning’s fog retreating from the mountaintops at Tengjhih. 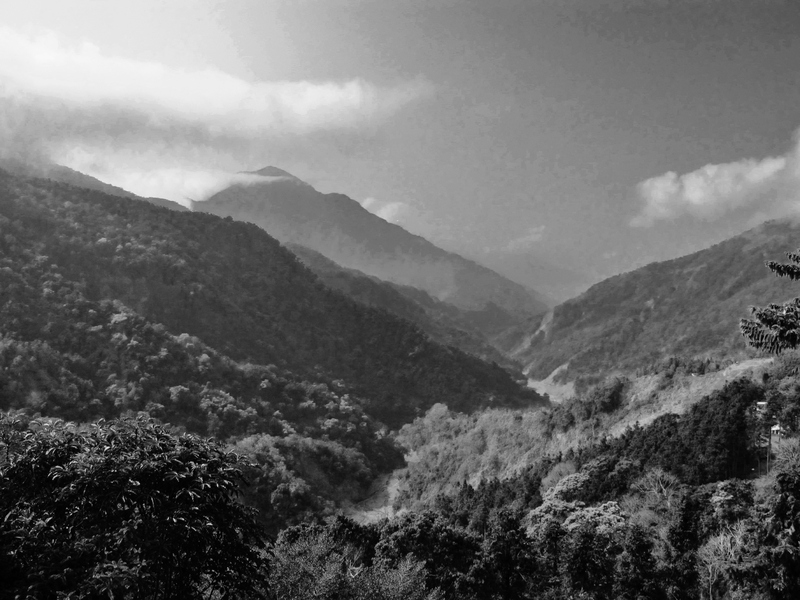 After more than a month in the USA, it was great to get back to Taiwan and catch up with the latest happenings at my “local” mountain patch, Tengjhih National Forest. Patchy dense fog along the upper reaches of the road severely restricted bird activity in the early morning, and even when the fog finally cleared away things didn’t improve much. Still, a pair of Eurasian Jays (scarce here) was a nice year tick, and a Dusky Fulvetta was very obliging in coniferous woodland along the small trail below the road at around Km 17, in exactly the same spot I saw this species a few weeks ago. I then drove back to the village at Km 15 and walked the first part of the blue trail, but bird activity was still on the low side. A Pale Thrush on the trail was a Tengjhih tick, and a Yellowish-bellied Bush Warbler showed in a bamboo patch. 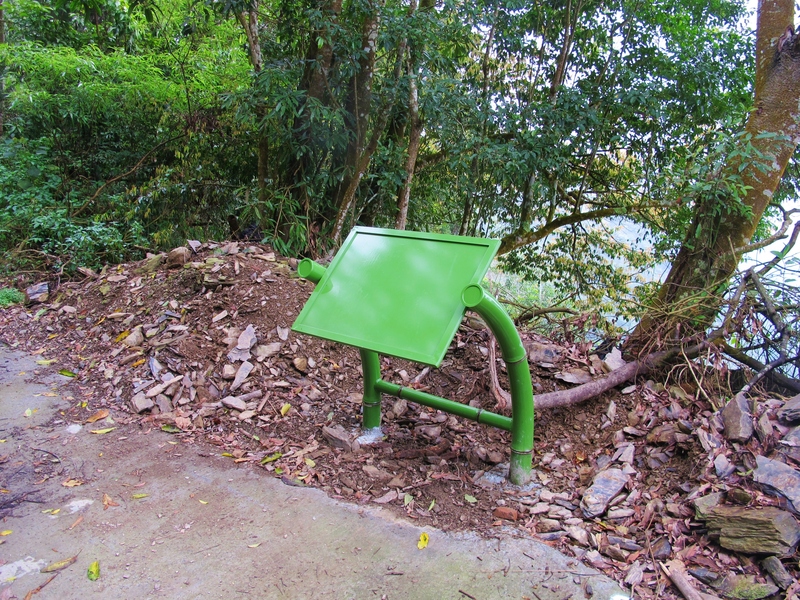 Some brand new green signboards have been installed along the trail, so the local authorities are obviously investing some money in the hiking infrastructure here. I hope that doesn’t lead to an influx of weekend visitors to this peaceful area. One of the new signboards along the blue trail. No doubt some Chinese-language-only information will be added shortly.